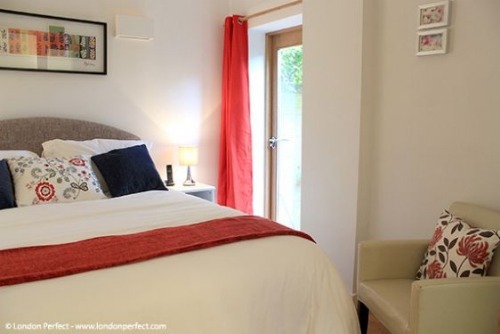 Introducing Our New London Perfect Vacation Rentals! We’re delighted to introduce three new London Perfect vacation rentals in two of the most sought-after neighbourboods in London – Chelsea and South Kensington. Each one of our lovely apartments has its own unique style and charms to offer guests, and the latest additions to our portfolio are no exceptions! The Churchill is gorgeous two bedroom rental that has been beautifully remodelled with attention to every little detail. It offers a comfortable and welcoming stay just moments from the best of Chelsea! With a dreamy location in South Kensington, the Asquith is an ultra modern and stylish two bedroom vacation rental with a private garden terrace. 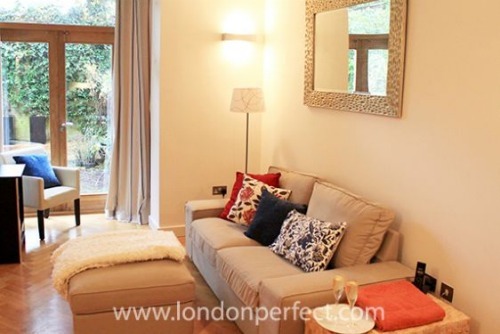 Perfect for a romantic getaway in Chelsea, the Hamilton is a cosy one bedroom apartment located near the Thames. Whether you’re looking for a romantic escape, a comfortable home away from home for your family or a luxurious vacation rental, we’ve got something for everyone with our range of apartment sizes and selection of styles. 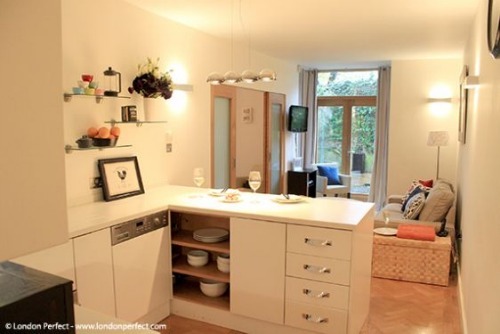 And with London Perfect you’ll know you’ll stay in the most sought-after neighbourhoods in London. 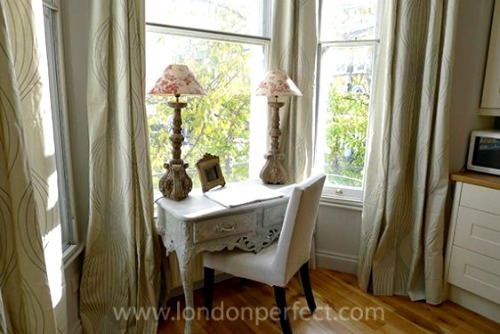 Let us introduce you to the charms of our newest London Perfect vacation rentals! 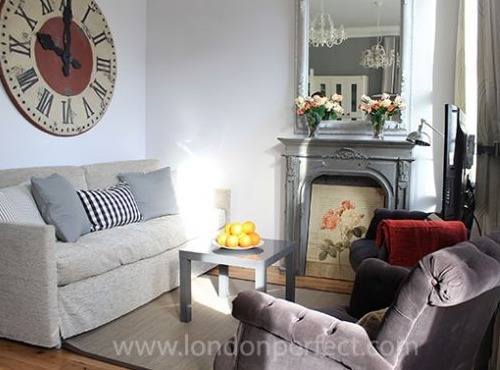 The Churchill is a delightful and comfortable two bedroom vacation rental located on a pretty street in Chelsea near Fulham Road and Earls Court. This apartment has just received a complete remodel and has been beautifully decorated in an elegant and welcoming style. 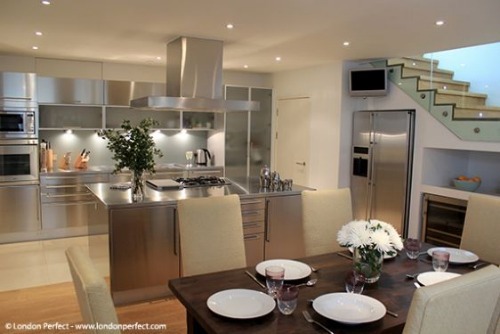 The open plan living room and kitchen with dining area are lovely spots for spending time together with family and friends during your stay in London. Shop for the freshest ingredients at local supermarkets and specialty shops and enjoy a relaxing evening at home in this this beautiful apartment. The kitchen has a French country style feel and features top of the line appliances and even charming letters spelling “cuisine” – kitchen in French! Just next to the dining table in the kitchen you’ll find a charming desk sitting in the nook below the large bay windows. It’s the perfect spot to write letters to family back home or catch up on your emails using the free wireless internet at the Churchill. You’ll feel right at home in this comfortable apartment in Chelsea! Follow a hallway that leads down a few steps to the master bedroom were you’ll find a lovely queen size bed. It’s a peaceful spot to retire to at the end of a busy day in London. Enjoy a good book before switching off the bedside lamps. 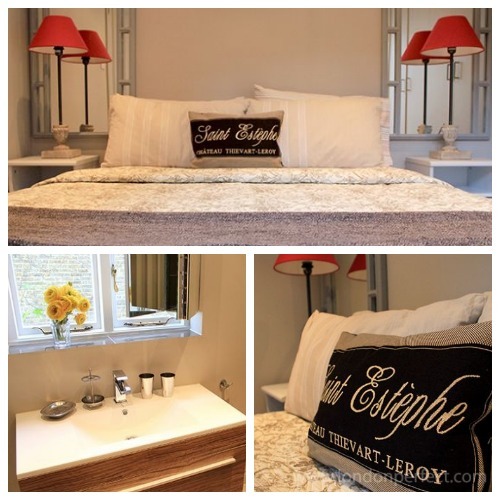 For your comfort, the master bedroom features an en suite bathroom with a shower, sink and washer and dryer. 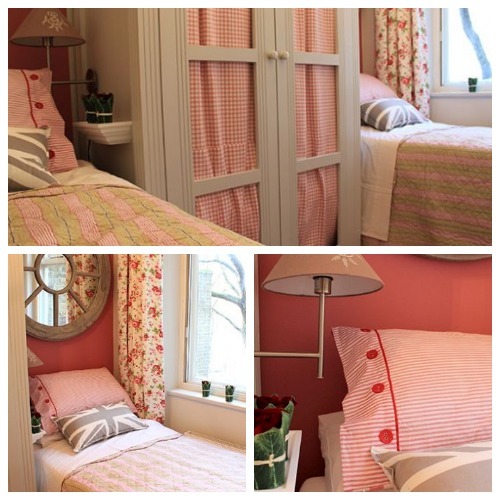 The Churchill has a second bedroom with two twin beds that is pretty in pink. With a large window, wardrobe for storage and location right next to a full bathroom, it’s a comfortable and cheery bedroom. We’re excited about the lovely new Churchill vacation rental in Cheslea! 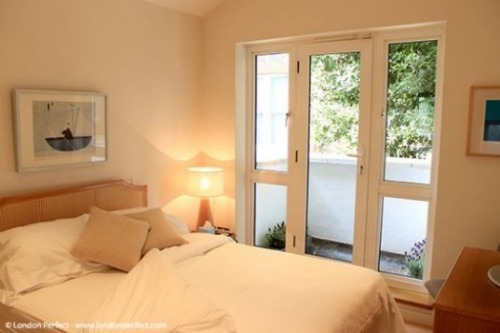 It offers a comfortable stay in a nice residential area near the best of Chelsea. Stroll to great shopping spots on Fulham Road and trendy King’s Road – two of the best shopping spots in London! Or simply hop on the Tube nearby to reach top spots in London direct, such as Notting Hill, Museum Row in South Kensington, Big Ben and the Houses of Parliament in Westminster, the Tower of London and much more. The Churchill is a lovely home away from home in heart of London! 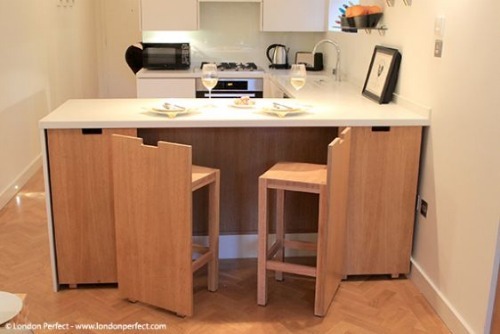 The Asquith is a contemporary and very stylish two bedroom vacation rental with a great location in South Kensington. 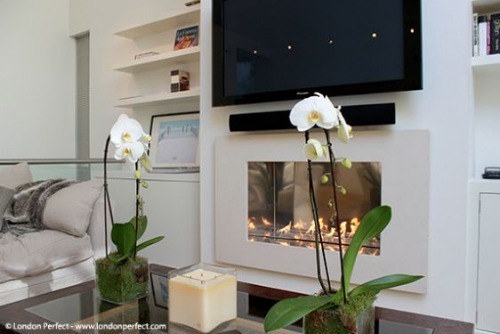 This luxurious home rental is situated in a unique modern building on four levels. 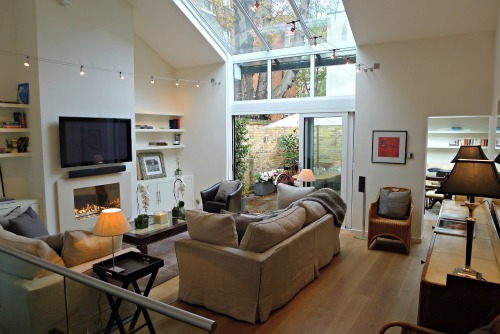 On the ground floor you’ll find the spacious living room and sun room, both with access to the private garden terrace. The large windows and skylights fill the rooms with a beautiful light while the fireplace creates a cosy setting in the evenings. 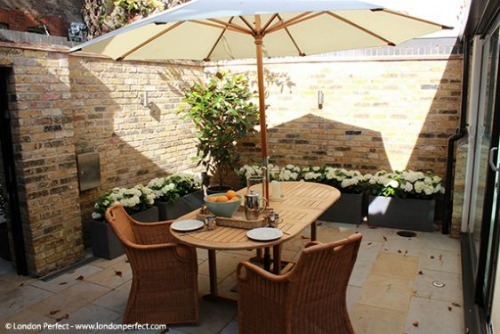 It’s such a lovely feature to find a terrace like this where you can dine outdoors, enjoy the sunshine on a pretty day and simply relax at home during your stay. Spread out your books and maps and plan your time in London or have a leisurely breakfast outdoors in London – you’ll find so many ways to enjoy the terrace at the Asquith during your stay! From the living room follow a staircase down a half flight to the gorgeous master bedroom on the lower ground floor. You’ll find a luxurious king size bed, flat screen TV, exercise bike, reading nook and a beautiful en suite master bathroom with bathtub, shower, toilet and dual sinks. The second bedroom at the Asquith is located on the first floor reached from a staircase in the living room. Here you’ll find a queen size bed, flat screen TV and access to a private balcony. Just next to the second bedroom is another beautifully remodelled bathroom featuring a shower, toilet and sink. On the lower level of the Asquith you’ll find the stunning kitchen and dining area. The luxurious kitchen features stainless steel cabinets and counters, top of the line appliances and all the modern conveniences. 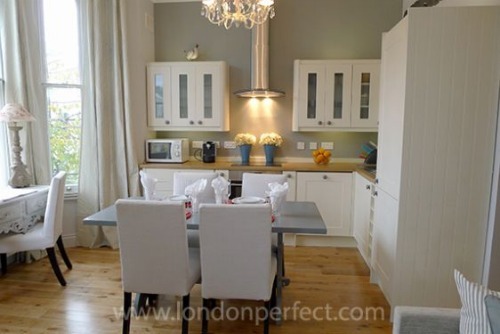 It’s an absolutely lovely spot for preparing meals during your stay in London. The dining area nearby features a contemporary and stylish table that is the perfect spot for elegant dinners at home. 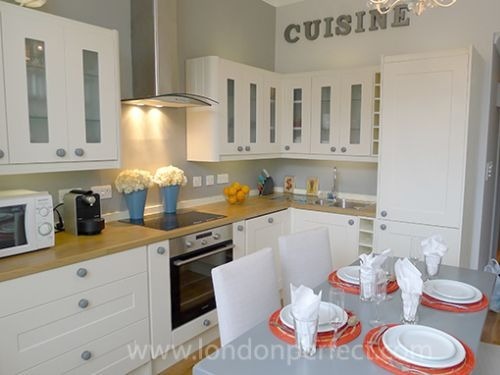 The Asquith’s gorgeous kitchen and dining area – perfect for elegant dinners! The Asquith has a lovely location in South Kensington, just a short stroll from Museum Row with the fabulous Victoria & Albert Museum, the Natural History Museum, the Science Museum and more. You’ll be surrounded by some of the top shopping spots in London, including High Street Kensington, Knightsbridge and the famous Harrods, Chelsea and King’s Road and the high fashion boutiques along Sloane Street. Or enjoy a stroll over to Kensington Gardens and Hyde Park where you can walk around the Serpentine or visit Kensington Palace. Enjoy a modern and comfortable stay in South Kensington at the Asquith! When you step in our cosy and cute Hamilton vacation rental in Chelsea you’ll feel at home right away. This apartment has a cleverly designed open floor plan, with the kitchen and dining area leading into the comfortable living room. There’s plenty of light from the large doors leading out to the Hamilton’s private garden. It’s a rare find in Chelsea! We love sitting outside on sunny mornings with a cup of tea or enjoying a quiet afternoon in the garden with a good book. Features like the garden and the cheery décor make the Hamilton a lovely choice for a stay in Chelsea. The bedroom at the Hamilton features a queen size bed, plenty of storage and a doorway that leads out to the garden. Enjoy the luxury of waking up in the morning and stepping out to your own private garden in Chelsea during your stay at the Hamilton. It’s these details that we know make a one of kind vacation in London! With a fully remodelled kitchen and a built in dining bar, it’s a pleasure to stay in and enjoy a leisurely evening at home. Pick up ingredients for dinner along King’s Road in Chelsea and relax at night so you’ll be ready for another full day of sightseeing and shopping in London tomorrow. 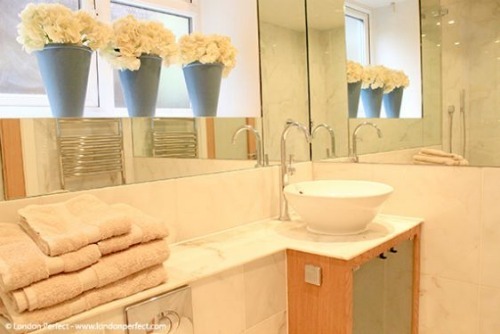 The bathroom at the Hamilton has been beautifully remodelled with a large walk-in shower, heated towel rails, plenty of storages and tons of mirrors and underfloor heating. The location of the Hamilton is fabulous – just moments from King’s Road and the River Thames on a lovely residential street in Chelsea. Enjoy shopping along trendy King’s Road and Sloane Street, stroll along the river, visit the Chelsea Physic Gardens or hop on the Tube to reach all the top spots in London. 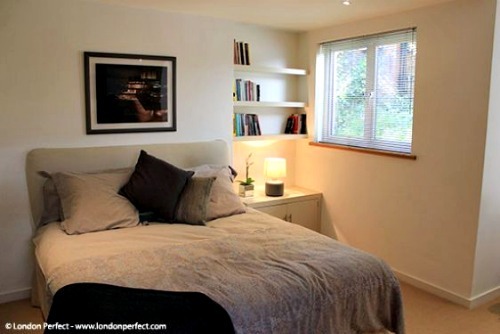 This cute and comfortable one bedroom apartment is a great for a couple for a romantic escape in London! If you’re planning a holiday to London, contact us and we’ll be pleased to help find the perfect vacation rental for you! NEXT: Happy Thanksgiving … & London Perfect’s Black Friday Sales! Posted on Thursday, November 15th, 2012 at 6:16 pm in Apartment Rentals. You can follow any responses to this entry through the RSS 2.0 feed. You can leave a response, or trackback from your own site.